See more Diane von Furstenberg Casual and day dresses. We check over 450 stores daily and we last saw this product for $263 at MATCHESFASHION.COM. Classic and understated, this navy New Jeanne Two dress from Diane von Furstenberg brings your workwear wardrobe up a level. 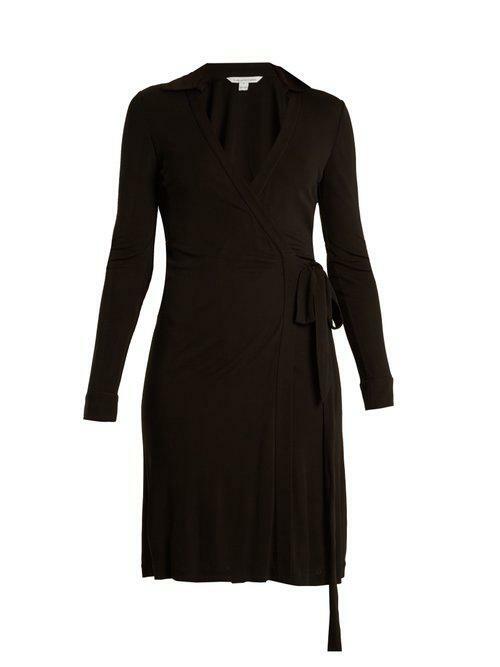 This dress creates a feminine silhouette that can be accessorized to suit any occasion. Team with block-heeled pumps by day, switching to stilettos for after dark.